Here's another FREEBIE from my nieces attic that I made over to match my new guest room. 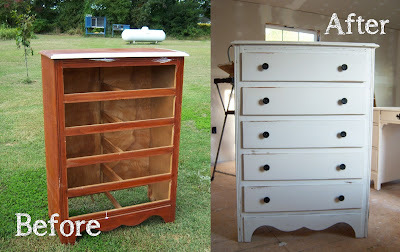 I forgot to take a picture before I started painting -- but here's one w/out the drawers and one of the ugly knobs that were on the drawers. I bought new drawer pulls (for 90 some cents) at a local hardware and painted them black so they'd match the desk pulls. 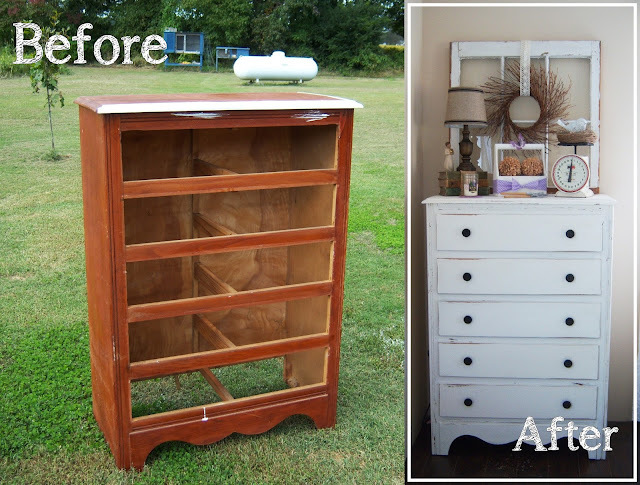 As with the desk and chair; I used my homemade chalk paint, sanded edges to create a vintage farmhouse look, and sealed the finished piece with finishing wax. Decorated and ready for guest! 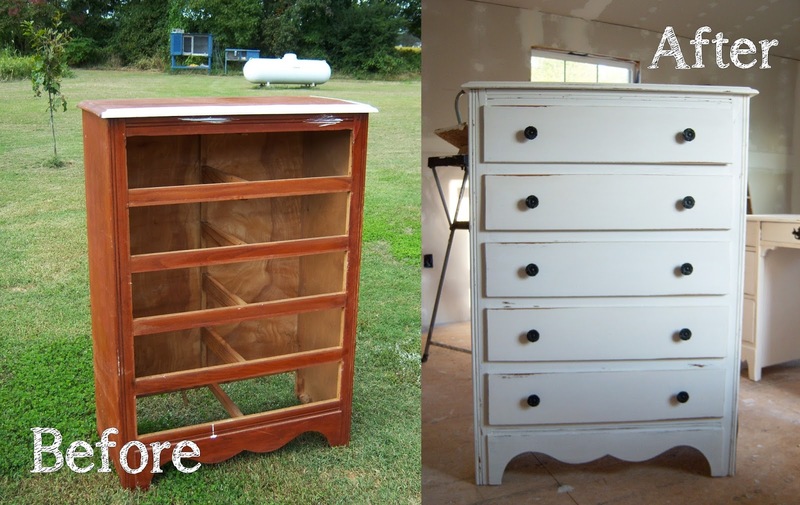 Another terrific makeover! I love how you've decorated on top of it too! Your transformations of the free goodies are turning out just lovely, like how you are matching the hardware to tie them in together.